Mr. Pryor is a founding member of Oium Reyen & Pryor. He is a trial lawyer specializing in healthcare defense. 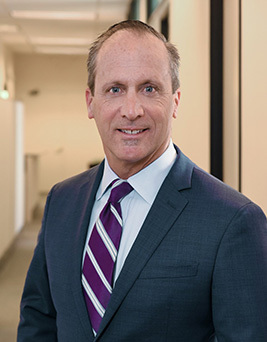 Mr. Pryor has particular expertise in representing health care providers in professional negligence actions, matters involving the Medical Board of California, and counseling health care providers in risk management issues. Since 1990, Mr. Pryor has obtained trial verdicts, judgments before trial, dismissals, and favorable settlements for hundreds of healthcare providers throughout Northern California. He has also assisted physicians and medical groups avoid malpractice claims before they arise. Recent accomplishments include victory at trial for a North Bay medical group in a wrongful death case, summary judgments of a San Francisco thoracic surgeon and a Napa Valley family practitioner, and outright dismissals in favor of physicians in cases involving birth injury, diagnosis of debilitating neurological injury, alleged negligent hand surgery, and alleged failure to monitor coagulation resulting in debilitating stroke. Mr. Pryor was inspired to practice law by his father, who was the local prosecutor and general practitioner in Kentucky. Mr. Pryor was a director of the Moot Court Board at the University of San Francisco School of Law. He served as clerk for the Honorable Ira A. Brown, Jr., of the San Francisco Superior Court and original co-author of California Practice Guide: Civil Procedure Before Trial. In addition to these positions, Mr. Pryor supported himself through undergraduate and law studies as a construction laborer, painter, cook, and law clerk. Mr. Pryor’s interests include year-round swimming in San Francisco Bay, fly-fishing with his dog in the Sierras, reading, playing baseball, and cooking.